Go Paint Yourself with L'Oreal Paris Infallible Paints Eye Shadow. Layer and customize colors with long wear liquid eye shadow cream duos. Wear alone or blend with other shades. Experience high impact color and all day wear with these double-ended cream eyeshadow sticks! 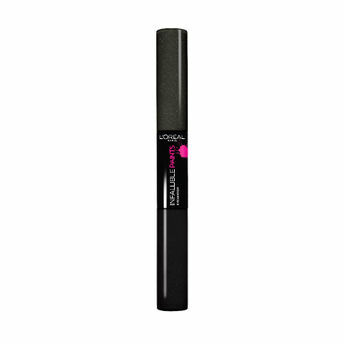 Has a creamy texture that applies smoothly. Explore the entire range of Eye Shadow available on Nykaa. Shop more L'Oreal Paris products here.You can browse through the complete world of L'Oreal Paris Eye Shadow .Alternatively, you can also find many more products from the L'Oreal Paris Infallible Paints Eye Shadow range.